A premium solid tyre solution for hard-surface operations. 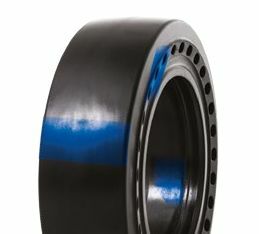 Designed with pneumatic comfort in mind, it reduces aperture hole cracking while delivering excellent stability and the best tread life on dry hard-surface operations. CAMSO SKS 796S (formally SOLIDEAL SafetyMaster SM) is a premium skidsteer tyre option for the use in the harshest of applications on smooth floors or indoor use. The CAMSO SKS 796S has been designed with wide sidewall profiling to offer maximum durability and wheel protection.